Many parents choose to buy breast milk to feed their babies, for various reasons, but those folks are under the belief that the stuff is coming from humans. Researchers published a report into the online breast milk industry that said despite the expectation that the milk comes from women, some samples tested positive for cow’s milk. That milk poses a potential danger for some babies, according to a study published in Pediatrics that warns against breast milk sold online that could’ve had cow’s milk added to it. “It could be very harmful to babies with allergies or intolerance” to cow’s milk, Sarah Keim, a researcher at Nationwide Children’s Hospital in Columbus, OH told USA Today. A previous study from the group using the same samples, collected in 2012 from several sites, found that 75% were contaminated with viruses or bacteria as well. Since 2010, the Food and Drug Administration has warned that milk sold or shared online could be unsafe. Some sites like Only The Breast offer breast milk from thousands of nursing mothers, with prices ranging from $1 to $6 for an ounce. Ads featured on the site show mothers claiming to only eat organic diets, are drug-free, don’t drink alcohol or caffeine, and other habits seen to be healthy. Other sites encourage women to share breast milk, but none of those free sites had samples included in the study. 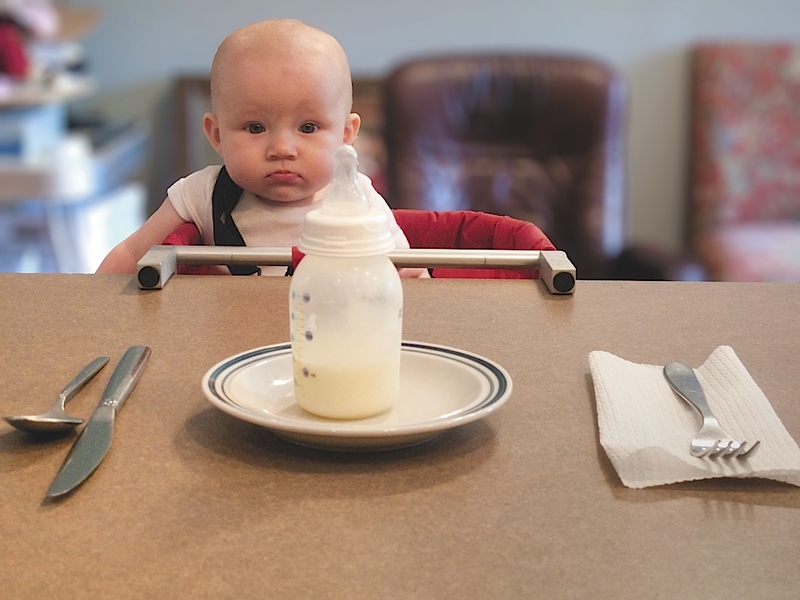 Keim says that kind of milk is unsafe because it hasn’t been tested for contamination. So why mix up the milk? Whoever’s topping off breast milk with cow’s milk adds instant opportunity to make a product stretch a bit farther than it otherwise would, which means more money to be made. Instead of seeking out breast milk online, mothers who have trouble breastfeeding should turn to health professionals instead of ordering online, says Kim Updegrove, executive director of the Mothers’ Milk Bank in Austin. There are 18 non-profit banks in Human Milk Banking Association of North America that provide safe, screened breast milk for sick and low-weight babies in hospitals, but they don’t get enough donations to provide access to the general public, Updegrove notes. “Body fluids are dangerous, and milk is a body fluid,” she says. Adding cow’s milk could result in things like upset stomachs, to bloody diarrhea and eczema in some infants, Updegrove adds.